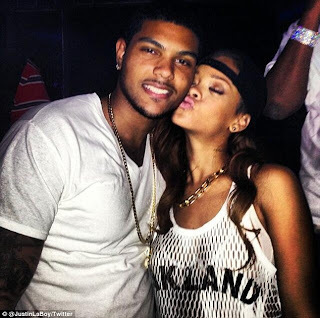 In pictures that are bound to irk her on/off boyfriend Chris Brown, Rihanna has been pictured getting flirty with a handsome man who isn't the bad boy singer. The Umbrella singer was snapped with a chap called Justin Laboy on Sunday in a series of Twitter images with the pair affectionately pecking each other on the cheek. 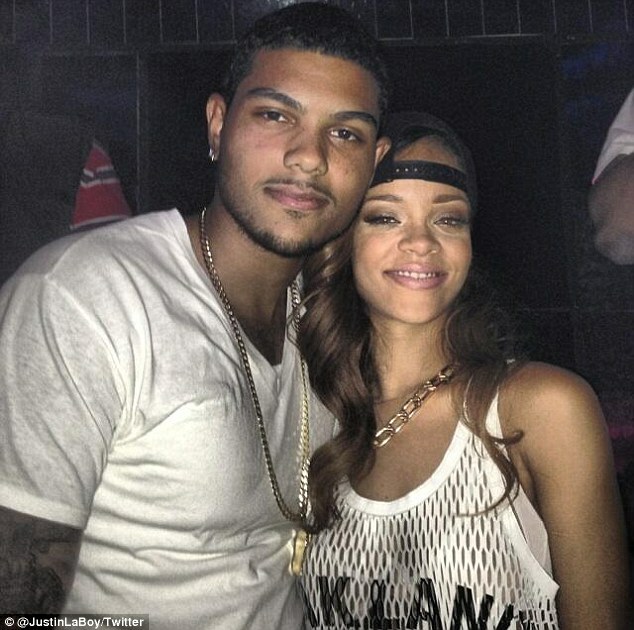 The photos found their way online after Rihanna's weekend performance in Newark, New Jersey, as part of her Diamonds World Tour. Chris should move on already. they cant both eat their cakes and have it. Lol. Jealous dude. Rihannas own is too much sef. Awww!!! Dis couples r too dramatic. Rihannas own is even too much.